In the context of today's workplace, we are always in a high-pressure, high-stakes environment. Around the constant threat of being replaced by more capable humans or algorithms, we are always concerned about the next mistake we could make and should thus avoid. There was once a group of scientists at Caltech named 'rocket boys' because of their obsession with testing rockets and appropriate fuels. Legend has it that on one of their attempts, they set fire to the oxygen line which could have blown up half their building. It could have been a story of how a mistake was culled before it literally did blow up the building in their next attempt. But a professor saw merit in their experiment, recommended a few tweaks and allowed them to continue their experimentation with guidance. Now it's a story of how the American Space Program was born. Human Beings are not machines. We are considered the most intelligent, evolving species on earth but we do have our limitations. In extremely high-risk professions like aviation and surgery, the amount of training given to incumbents is long, tiresome and arduous, and it creates highly skilled professionals who are very good at what they do. But there are still errors. There are bound to be because we are not machines. In fact, while we are on this metaphor, what are mechanics if not people who rectify mistakes that machines sometimes make? A lot of research has been done on the effects of stress on productivity. The Global Benefits Attitudes survey found that levels of workplace disengagement significantly increase when employees experience high levels of stress. The stress of being penalized for a mistake not only takes away the delight of trying something new or different at work, it also affects general productivity and nips potentially groundbreaking ideas in the bud. As per a study published in the International Journal of Stress Management, Negative Error Management (NEM) increases error strain, which leads to emotional exhaustion  posing a direct threat to employee productivity and engagement. William D Brown once said, "Failure is an event, never a person" - a statement that should serve as a guiding beacon to all organizations. 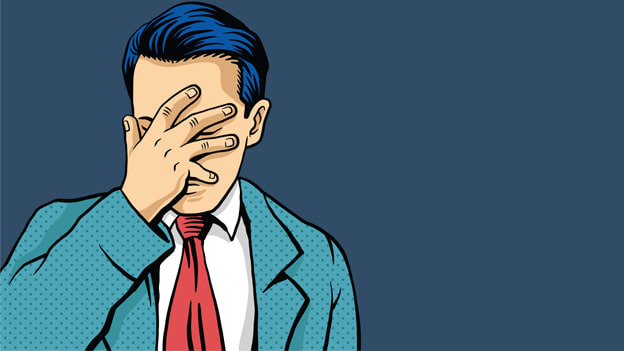 What do you do when an employee makes a mistake? Is the common practice at your place of work going after the error or the person who made it? Was the organization prepared in the first place for this scenario? Broadly categorized, there are two types of approaches on how 'error' is handled. Error prevention aims at avoiding negative error consequences by avoiding the error altogether, while error management focuses on reducing negative error consequences and on increasing potentially positive consequences. Error prevention, while hinting at a utopian workplace that ends up free of error, is the lesser practical of the two approaches when it comes to your average office scenario. Error management ensures that errors are quickly reported and detected, that negative error consequences are effectively handled and minimized, and that learning occurs. A strong error management system would go for a multi-pronged approach, delving into the relationship between a job, the employee and the organization in the context of why errors occur. Was an employee's risk perception a part of the skills evaluated? Does the organization have poor workforce planning or ambiguous processes that could be causing an employee to fail at the task assigned? Does the culture of the organization support reporting of possible bottlenecks without fear of punishment? An organization's culture can often influence how a leader deals with mistakes. How a leader corrects mistakes can impact the degree of employees' fear and their level of concern when they make an error. A study on the impact of error management on employee performance stated that high-error management culture translates into high-firm performance via decreased negative error consequences and simultaneously increased positive consequences of errors (via learning, initiative, and innovation)  However, many organizations tend to punish the occurrence of errors, thereby reducing potential communication about such incidents. This is detrimental, especially considering that people are inherently hesitant to talk about their errors because they know that this likely leads to negative attributions. As per research, the assumptions that ‘the operator (the employee in question) is fully trained with no room for error, is fully motivated and attentive (to rule out the possibilities of intentional/unintentional mistakes) and will be available every time there is a potential failure in the process’ - are some of the common pitfalls of managing human failures . What matters most, in this case, to the error management framework at any organization is the preparedness for 'prevention through design', as the study highlights. The organization needs to be prepared for the scenario of human error, by enabling well-thought out role descriptions, defined SOPs and policies and apt training for incumbents in those process directives. There needs to be a 'maker-checker' mechanism in place that checks the process inside-out and does not leave the success or failure of a task to an individual's performance on a particular day. It does not do well to assume that every employee is a self-actualized superhuman who does not need help in approaching any responsibility with zero room for error. With communication and dialogue before, during and after a particular task, assessment of 'risk' in any activity can be proactively done and mitigated as a team. The industries where there is no room for a mistake, for example, aviation and medicine, have well-established setups to continuously study and adapt their processes, to ensure that the human being who ultimately ends up performing the task is fully equipped with the knowledge to be able to perform with close to no scope for error. While your average workplace doesn't compare to the risk associated with error in these professions, we somehow end up translating a similar pressure of expectations on the employees without preparing them equally. What steps the organization is taking to detect an error and maybe prevent it altogether in the future may be the key to achieving a workplace free of the stress that comes with the alarming prospect of 'paying for a mistake'. Suhani Tiwari is the Assistant Manager – Talent Acquisition – Center of Excellence at Tata Communications Ltd. Suhani has worked in Human Resource Management, Workforce Analysis and Planning, and Talent Acquisition with the Tata Group for more than 3 years now. Being a Techie turned HR and having experienced both sides of the table, she incorporates her understanding of business in writing about HRM with both perspectives accounted for. She loves writing and exploring new cuisine, and is an avid PotterHead.